The purpose behind Edelbrock's (or any other) carburetor spacer is to extend the length of the intake mixture column to improve air/fuel distribution. There are two different styles of spacers with distinctively different benefits. The open plenum design increases plenum volume for improved high rpm power, while the 4-hole designs increase the air/fuel mixture velocity for improved low-speed and mid-range torque. 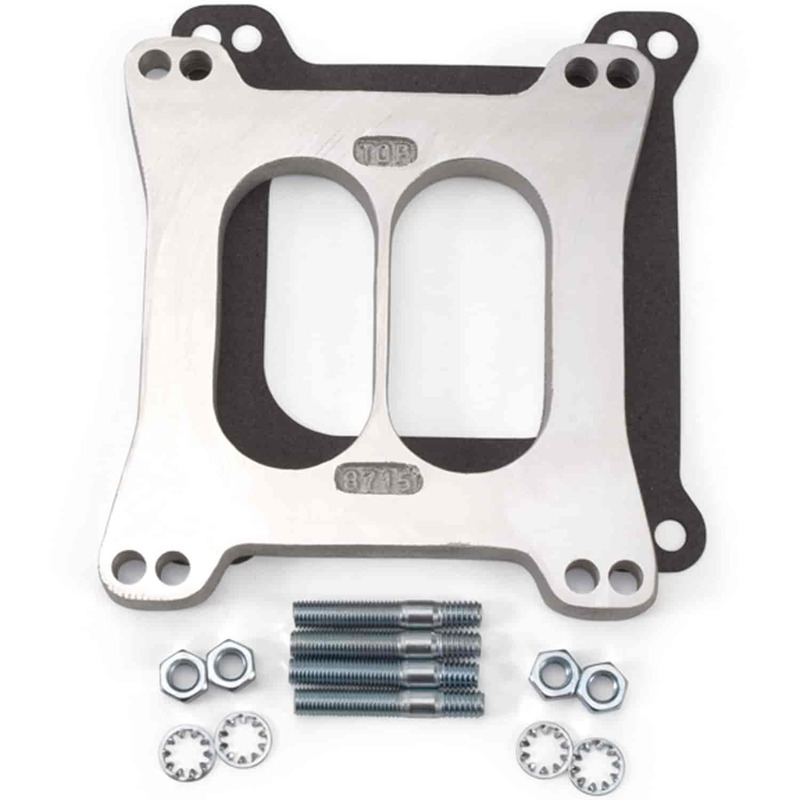 8715 - Edelbrock Carburetor Spacers - Cast Aluminum is rated 5.0 out of 5 by 1.